Owning a set of Celestron prepared slides gives you something to look at without any fuss. Making your own slides can be a challenge, especially if you don't have experience doing it. 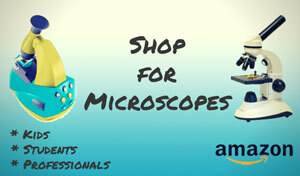 A set of Celestron prepared microscope slides offers you a variety of images that can feed your curious mind while honing your microscope skills. This set of 100 prepared slides can make life a lot easier for curious amateurs, for they can explore the microscopic world without the mess and hassle that can come from making slides. Professionally created slides can eliminate the frustration of working with an ill-made product. Users can pull out one of the Celestron prepared slides and use it immediately, making this set a very attractive gift for kids and amateurs. The wooden storage case is a nice addition that can help keep the Celestron 44412 prepared slide set around for a long time. The box protects the slides from damage during shipping, handling, and at home use. We've heard some complaints about the box on the twenty-five slide set (Celestron 44410), but none about this one. This set covers a wide sampling of kingdoms. The assortment of slides is vast and includes insect, plant, and animal parts. The contents may vary, but can include anything from algae to nematodes and rat lung. With so many slides, it would be hard not to find one to fascinate any user. The included list of specimens correlates to a number on each slide. This helps keep the entire set organized, as it's a lot easier for users to study a specimen if they have some clue as to what they're examining! 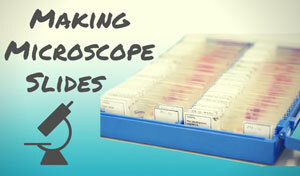 Although these Celestron prepared microscope slides are easy to use, there are some reported issues. Spelling errors are typical when it comes to names on slides, which is a little disappointing when you consider that they're professionally made. Specimens in the set are also sometimes substituted, so users may find that the slide specimen does not match the name on the provided list. This can be very frustrating, especially for young users. Another commonly reported complaint with this prepared slide set is broken or chipped slides. Sadly no matter how carefully packaged and shipped, the glass slides sometimes still experience damage. Investing in the one hundred set of the Celestron prepared slides can make using a microscope easy and fun. 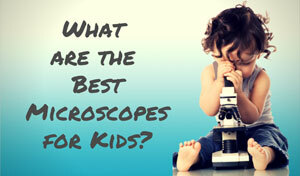 The slides are usually high quality and great for the budding scientist. 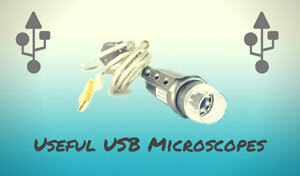 There is no wait period; users can dive right into exploring the microscopic world. There are some complaints about this product, but for the price it's still a fun set with a good variety of slides. Recommended for: The Celestron 44412 prepared slide set covers many different types of specimens, so it makes a great addition to the at-home environment. 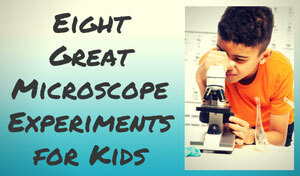 Adults and children will both get a thrill from the variety of samples that they can enjoy. Lower grade classrooms can also use it to introduce some science basics to students. 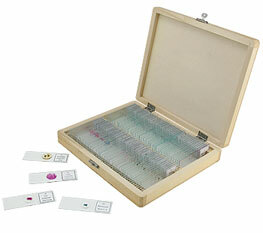 The Celestron 44412 prepared microscope slide set is value priced on Amazon.